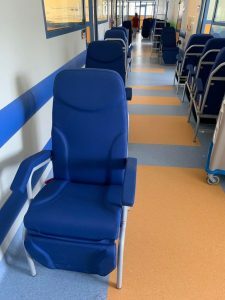 We are super excited and proud to announce the official handover of brand new, super comfy foldout beds for the use of parents staying with their sick kids at the newly renovated children’s surgery ward of the University Children’s Hospital in Prokocim. 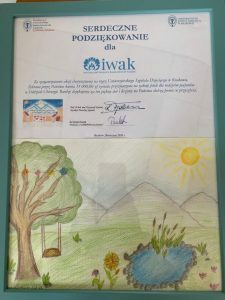 Our donation of PLN 35,000, raised during our Charity Masked Ball in December 2018, purchased 16 beds in total (approx. PLN 2,000 with tax and transport per bed). We were warmly greeted at the hospital by its Director and Charity Officer and led around the impressive wards, which are now slowly filling up with equipment and soon, patients. Thanks to our efforts, the stress and discomfort of the parent that cares for their sick child can be alleviated somewhat by enabling them to rest and sleep in relative comfort. We would like once again to thank all of the IWAK members who contributed, our sponsors and the wonderful Committee for making this venture the success it has been. Your ticket for the: The effects of IWAK’s 2018 Charity Gala are now physically tangible!